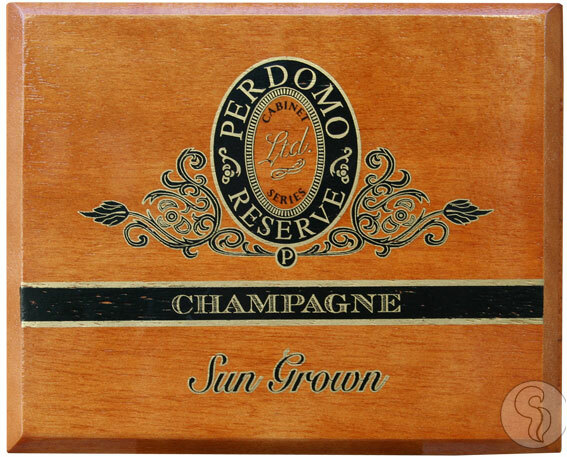 Drawing upon the success of the former Perdomo Champagne, the Perdomo Champagne Sun Grown cigar features a Nicaraguan Sun Grown wrapper leaf for a more forcefully flavorful experience. This bestselling crÃ¨me de la crÃ¨me of the collection offers an all-Nicaraguan long filler and binder along with a smooth, consistent taste to satisfy a discerning palate. If you're not yet a fan, you will be after sampling this spicy, rich, medium to full-bodied experience that's every bit as remarkable as its predecessor. A stunning luxury cigar that can be enjoyed by cigar smokers of every experience.